how does the testing kit work? 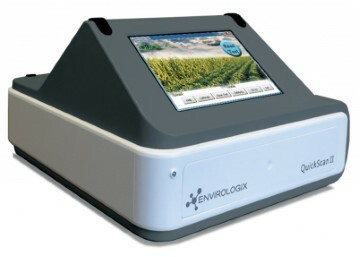 The EnviroLogix range of mycotoxin testing kits are designed to be user friendly with quick results in minutes. The tests can be performed by any person with basic training. 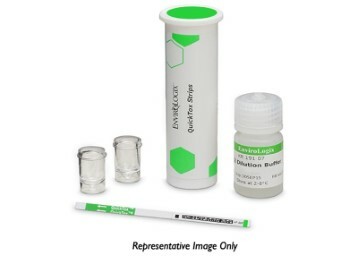 Click on the “testing kits” tab above for the complete details on how to use the various mycotoxin testing kits. Zearalenone is a mycotoxin produced by several strains of fusarium, a fungus that contaminates a variety of grains including corn, wheat, barley, rice, and oats. Zearalenone causes reproductive disorders of farm animals, infertility, abortion, and other breeding problems, especially in swine. It can cause hyperoestrogenic syndromes in humans. Zearalenone is often identified alongside deoxynivalenol (DON). It is seen increasingly in aquaculture, resulting from the growing use of grain, especially wheat, as the protein source in fish food. As with other mycotoxins, zearalenone can harm production animals and humans once it gets into the food and feed supply. In animals and humans, zearalenone mimics the reproductive hormone estrogen. 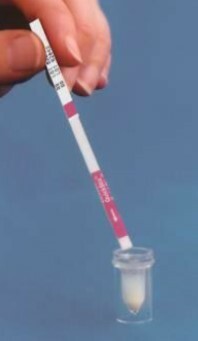 Levels as low as 1 ppm can cause damage to the reproductive system of swine. Higher levels of zearalenone can cause birth defects, interruption of reproductive cycles and even atrophy of sexual organs leading to a complete decline of reproductive ability. Zearalenone’s effects in other animals are not as catastrophic as they are in swine. Poultry and cattle only show symptoms after prolonged ingestion of zearalenone and lower levels of contamination do not transfer to milk and urine. High dietary concentrations (>20–30 ppm) produce infertility in cattle and sheep. In humans, zearalenone can cause central precocious puberty (CPP), which results in the premature development of puberty in children. CPP usually affects girls more than boys and has been linked to higher levels of exposure to zearalenone. Zearalenone in crops, food and animal feed are regulated through the world. In the United States, the Department of Agriculture (USDA) and the Food and Drug Administration (FDA) monitor zearalenone levels. Zearalenone testing detects contamination that, at its most serious, could lead to significant health risks to the reproductive systems of both production animals and humans. Early detection of zearalenone in the field and in storage is important because it remains stable in high temperatures and can survive basic food processing. In production animals, zearalenone contamination in grain in the animal feed supply can lead to reduced food intake and thereby lower weight gain and productivity. 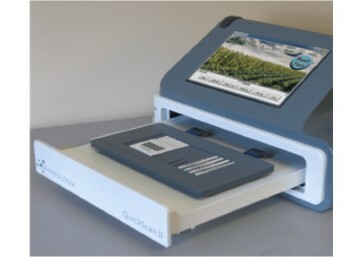 In addition, testing for zearalenone helps to protect crop quality and reduces risk to commodity prices. Testing also secures compliance with export regulations.